Relationships are at the heart of all we do as teachers. Knowing how to build positive relationships with students is a cornerstone teaching skill. If you think back to the teachers you had who really influenced you in a positive way and had an impact on your learning you will probably not remember the content of what they taught you. What you will remember is the way they treated you, how you felt in their class and the types of interactions you had. Marzano (2003) says students resist complying with expectations when there is no relationship with the teacher. I went to a Catholic all girls’ high school in regional NSW, taught by Mercy nuns (we thought of them as no Mercy nuns!). Maths was never my strong suit so I strove desperately to impress my Maths teacher, a nun by the name of Sister Jordan. The one thing I remember very clearly about her was her no-nonsense approach to things. She was photographed by the local paper praying in the chapel and the way they took the photo made it appear as though she had a halo. When I mentioned how this might look to others, her response was, “The people who mind don’t matter, and those who matter don’t mind.” For an impressionable young Catholic girl who worried about what everyone thought of her, those were wise words indeed. 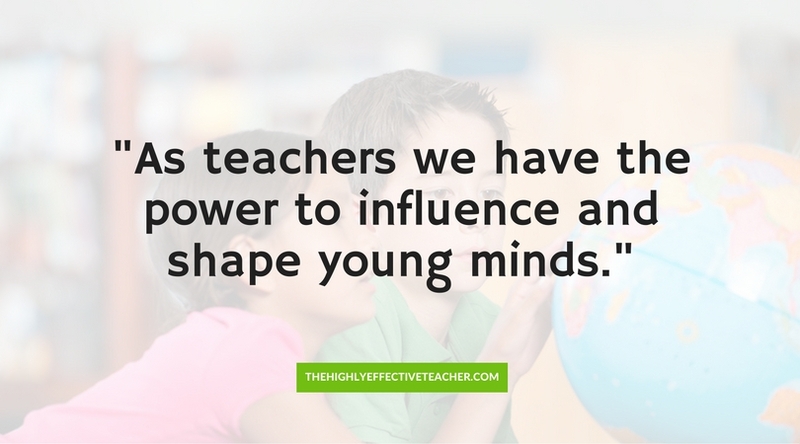 As teachers we have the power to influence and shape young minds. The way we do this is by giving our time and energy in a way that is meaningful to them. That means engaging them in conversations about things that interest them. While you may not care about the latest rap song, football or computer game, you do care about your students. Listening to students demonstrates your care. 1. Learn your students’ names. While this sounds so basic it is the foundation of a relationship. As Dale Carnegie said ‘A person’s name is to them, the sweetest sound in the world’. If you struggle to learn names use memory cues, photos, name tags, whatever helps! 2. Greet students at the door. Show that you are happy to see them and excited about the lesson. 3. Chat with students as they arrive to class. Ask about sport on the weekend, their birthday, the latest movie or music. 4. Share some of your life with students. Tell them about your family, pets, hobbies. Let them know that you are a real person and give them something to ask you about. 5. Give positive reinforcement that shows you know them. Tailor any feedback to their particular needs. If you know some students hate public praise, give them feedback in private. Make feedback related to their particular needs e.g. if they are working to improve their writing structures give feedback on this aspect of their work. 6. Go to a sports game on the weekend or after school. The extra kudos this will give you with students will go a long way to improving your relationship and be well worth the additional time. 7. Allow time in class for students to share things about their interests. 8. Use Circle Time to give all students a chance to speak about what is important to them. Using the Circle Time structure for class meetings ensures all students contribute and have the opportunity to problem solve. 9. Aim to speak to every student every day. Young people can easily feel isolated and invisible at school if no one speaks to them. 10. Ask students to answer questions you know they know. Don’t embarrass them in front of their peers by showing what they cannot do. This is a sure fire way to damage your relationship with them. 11. Allow processing time when asking a question. The more time you give a student to answer a question indicates the level of confidence you have that they will respond appropriately. The more you call on a student and they are successful the more engaged they will be in the lesson and future lessons (Kerman et al, 1980). 12. Display your confidence in students to do well. Tell them you know they will succeed. Students live up to the expectations you have for them. Telling students that they are no good or don’t work hard enough does not inspire them! 13. Check in with students who are struggling emotionally or academically. Find out what is going on for them and offer support in appropriate ways.